Cost saving by a reduction in luminaire fittings. 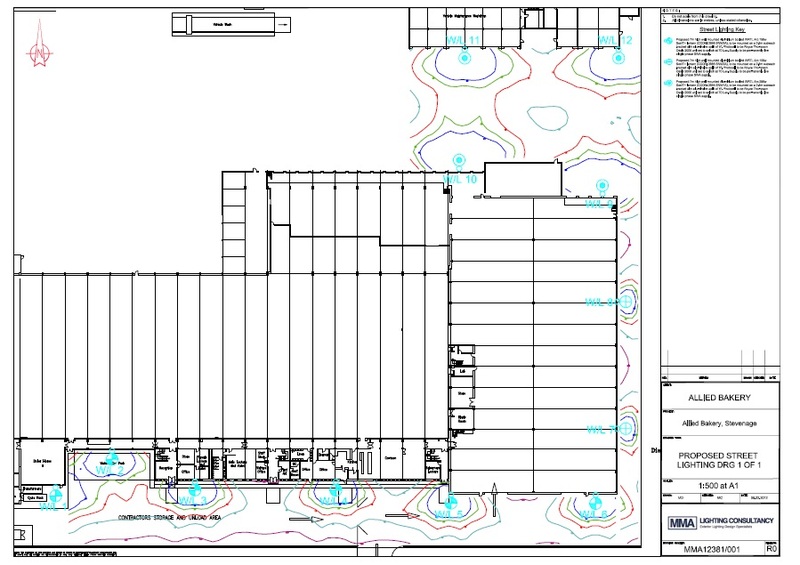 Scheme would meet appropriate design standards and guidelines ensuring a safe lighting design and installation. Reduction in energy costs as the optimum and lowest lamp wattage can be selected for scheme. As with any type of road area that requires external illumination there are set guidelines that should be followed. These are either British Standards and BS 5489 which has recently been updated to incorporate lower energy levels/white light sources, BS EN 13201 or 12464 and guidance documents produced by the Institution of Lighting Professionals. Often an architect or highway consultant will find by appointing a specialist lighting consultant to carry out detailed lighting designs the savings in equipment and lighting columns will out weigh the cost of the initial design fee charged by the lighting consultant. Using a specialist will also ensure your scheme is designed to the appropriate lighting standard. 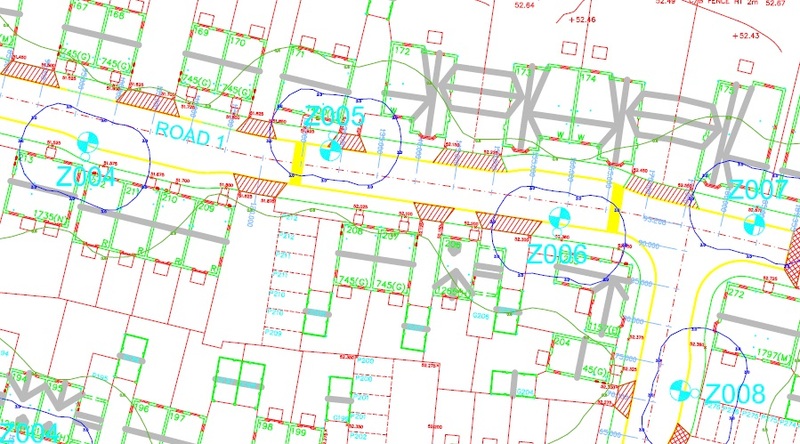 A lighting design is a computer simulation of lights positioned at locations which would be found on a roadway, car park or foot way The simulation will form an exact representation of how the lights will perform at night once installed so that the design is able to use the fewest fittings, of the lowest wattage whilst still achieving the assessed lighting category for the area. A lighting design often consists of a drawing, calculations, method of approach/design, schedules and contract documentation. At MMA Lighting Consultancy these form the standard package that we submit to clients.